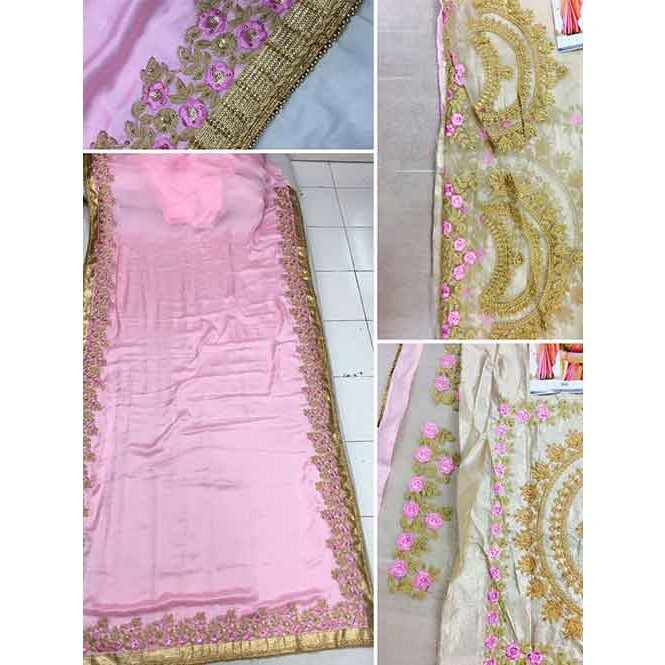 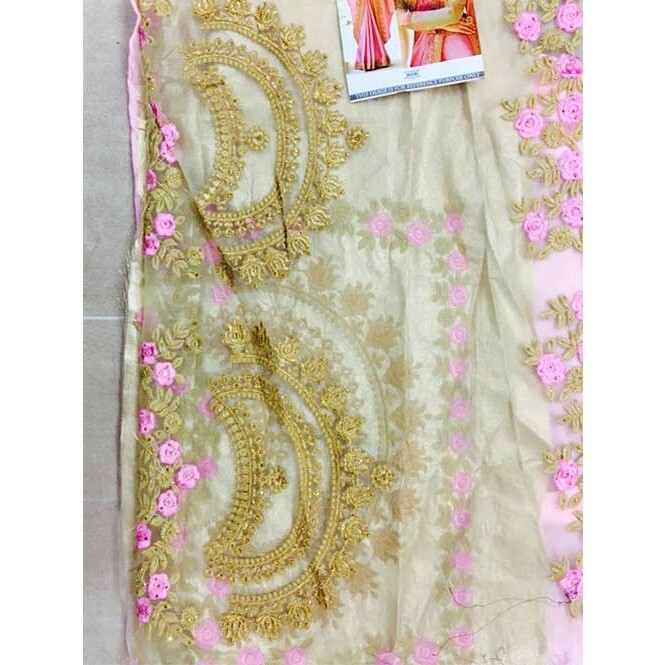 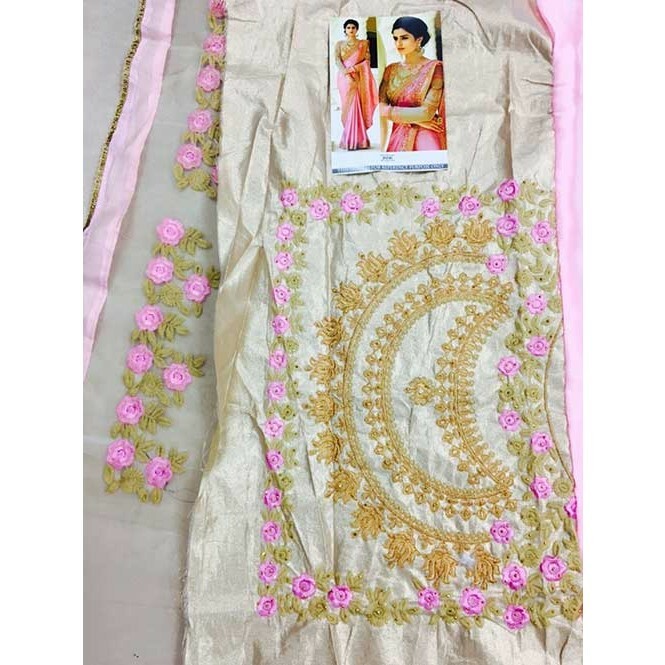 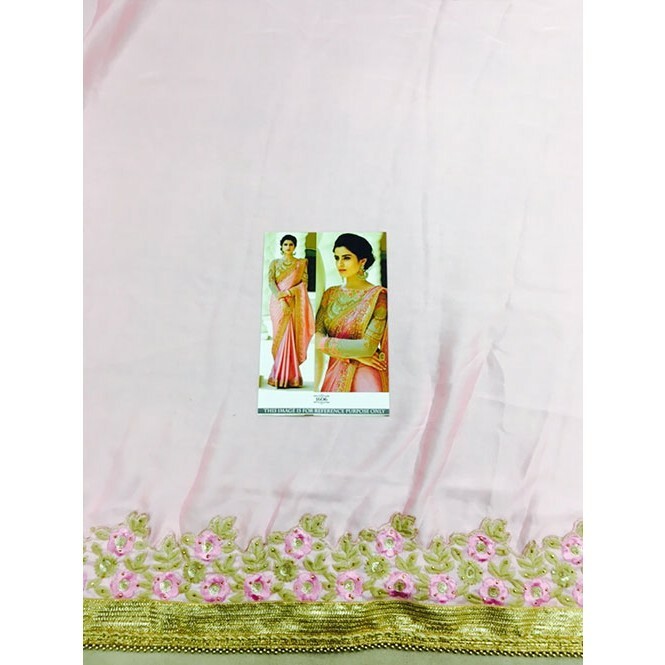 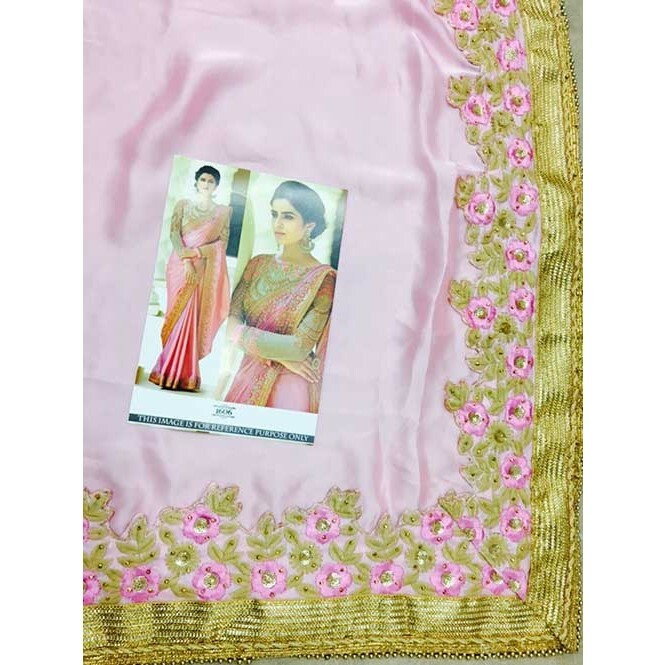 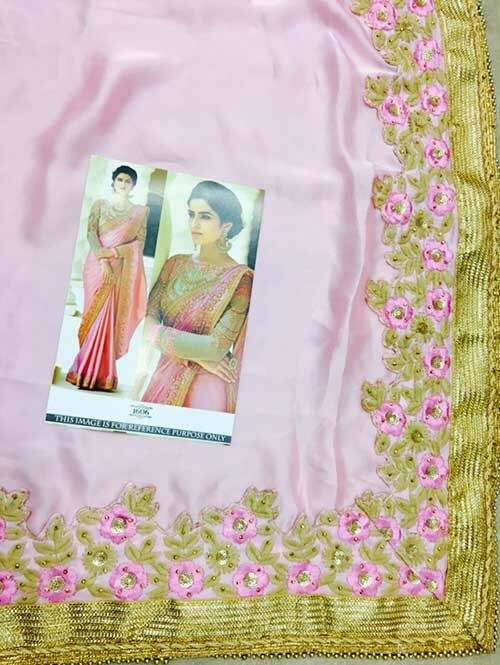 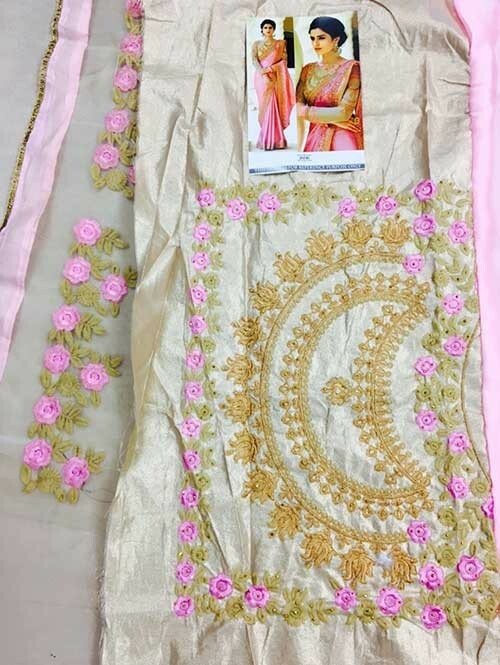 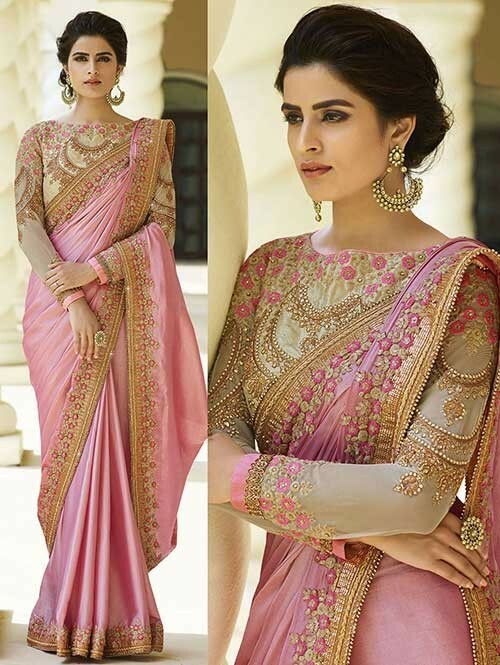 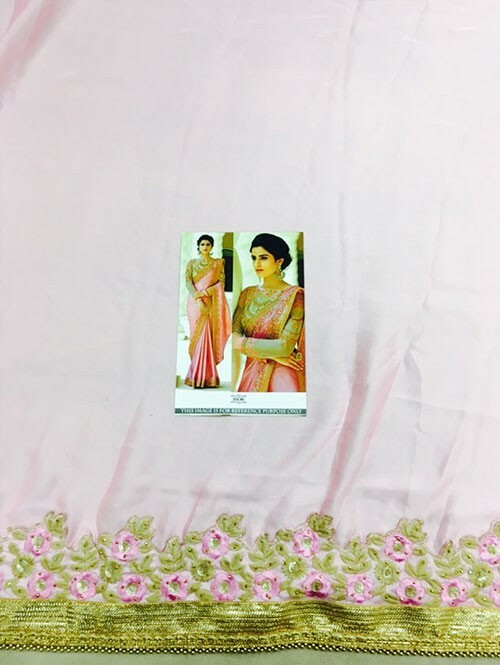 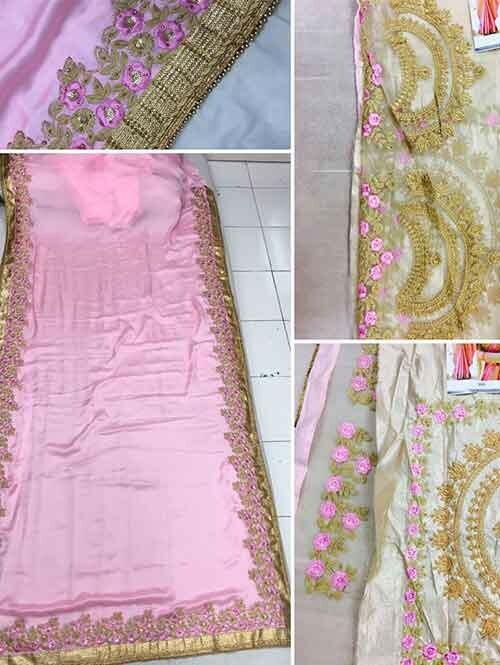 Classy, sensuous and versatile are the perfect words to describe this Pink Colored Beautiful Embroidered Satin Silk Saree. 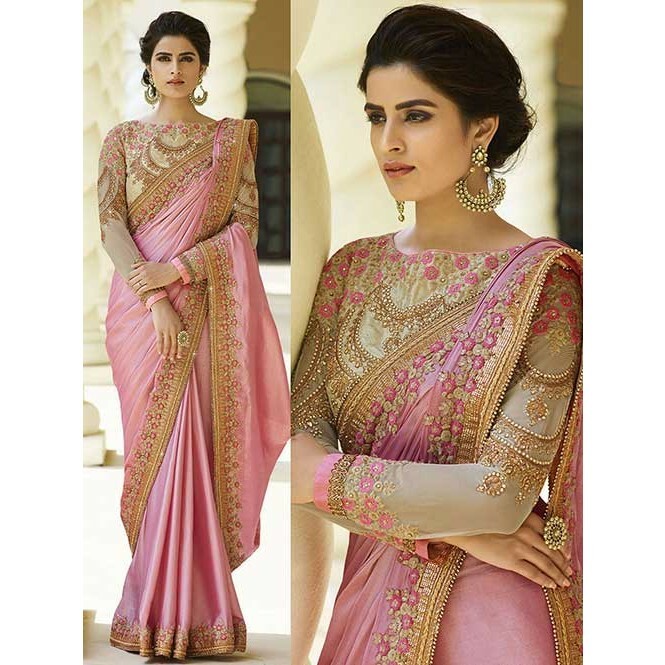 The Satin Silk fabric makes this 6.3 m saree easy to drape and carry all day long. 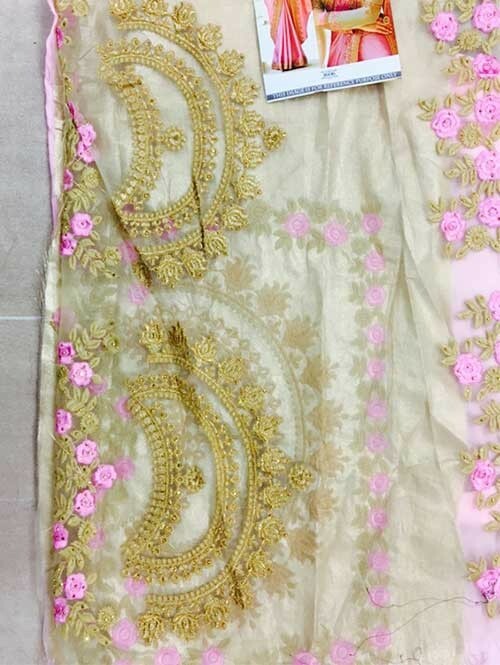 Club it with golden danglers and heels to highlight your personality on any occasion.